As mentioned in previous posts, the area bordered by State, Deering, Mellen & Park Street was built out in the 3 or 4 decades after the Great Fire of 1866. As is often the case, the farther up the slope, the more valuable the property. Deering and eastern side of Cumberland Street, now avenue, saw upper middle and upper class families build single and 2 family, architect designed, homes. From the west side of Cumberland to Park was mostly double and triple deckers intended for lower classes. The corridor of State Street stayed mostly middle class with a mix of housing from 1 family to apartments. 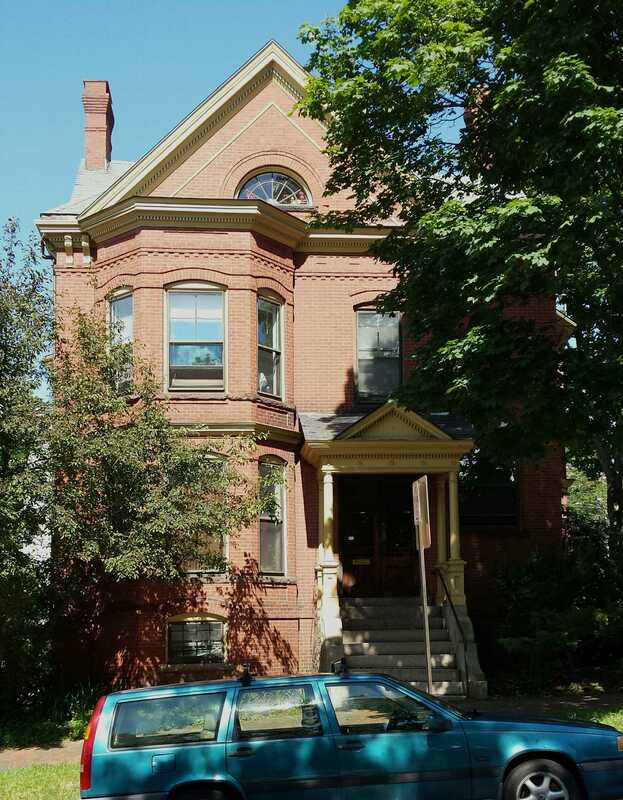 Our subject is a single family at the north west corner of State and Grant Streets. 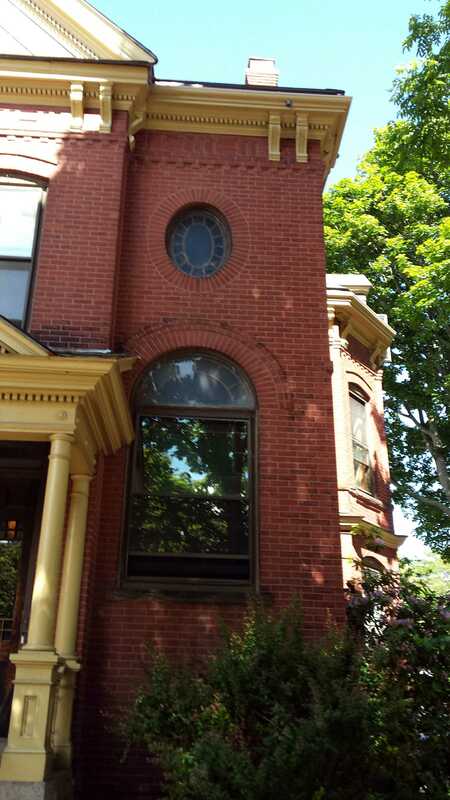 The house is a 2 story Queen Anne with a third story in the garret. The State and Grant street have 2 story projecting bays. Details are many. It would seem someone had a thing for oval windows as there are several to be seen. 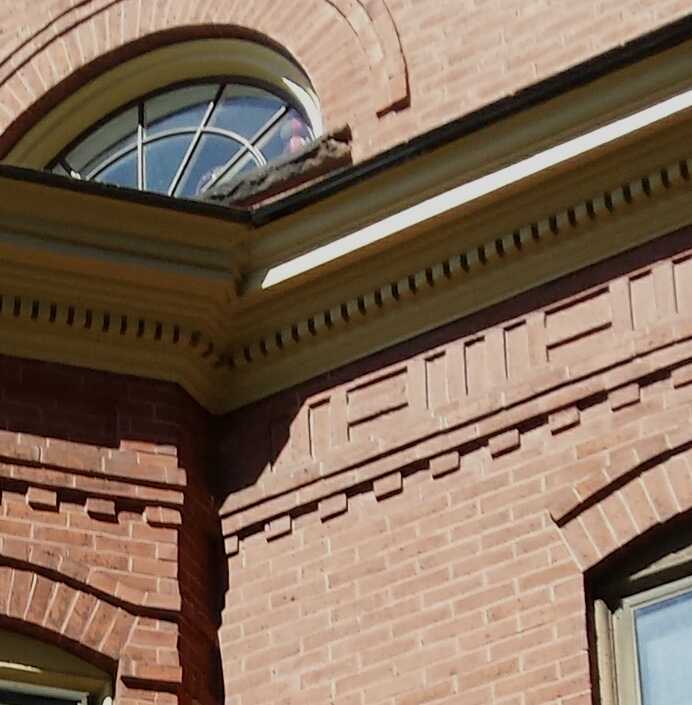 The cornice is dentiled, bracketed and has a modillion course of brick below the frieze. The frieze has a geometric pattern in the brick work that is visible from the street but does not show well in photos. 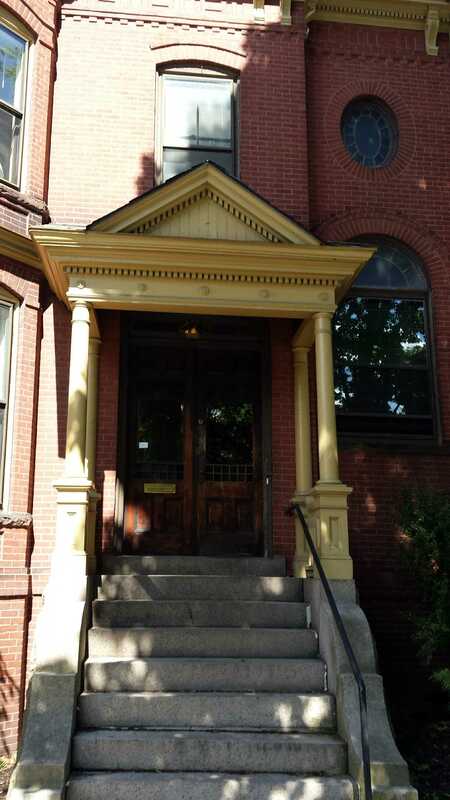 The gable facing the street is closed and well molded in a greek revival mode. 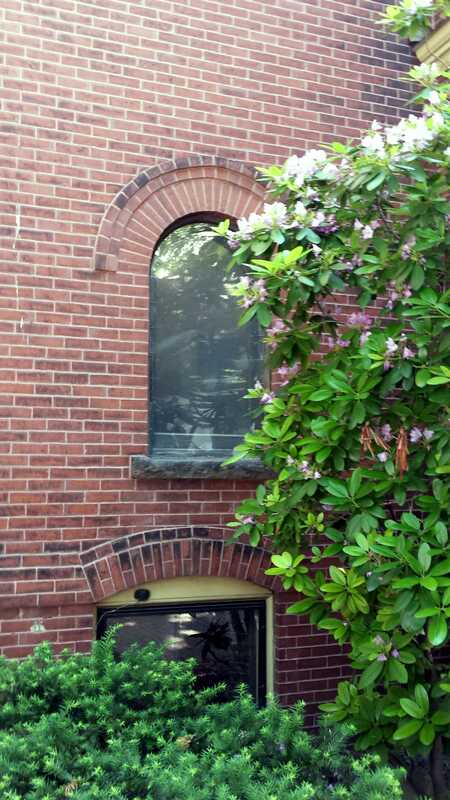 The arched window is an interesting addition that seems uncomfortably low in the space. It looks like it might be at knee level when viewed from inside. 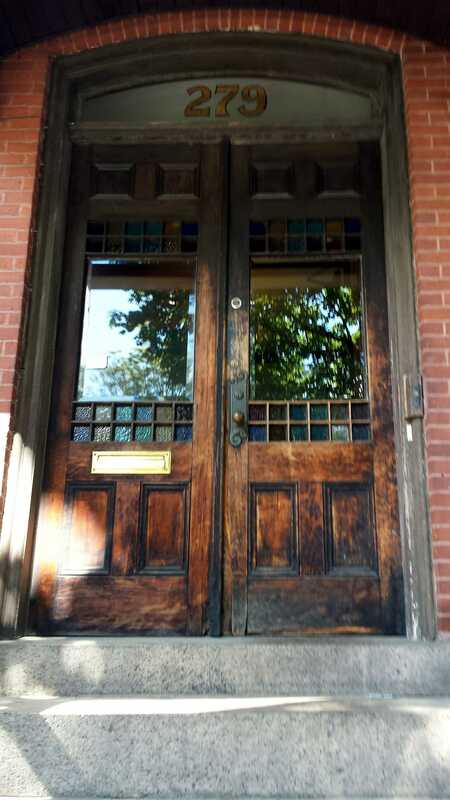 Overall, the verticality of the plan and the details lead me to believe the design came from Francis Fassett’s office. The tax photo is dynamic with several people visible. These were the days when State and Grant Streets were two way. A note that the house on Grant just to the right of our subject appears, from deed records, to have been built by the Webster Brothers who built the house we saw at 67 Emery Street. The lower facade visible from State Street is more expansive and less contained than the primary facade. There is another bay and the windows, while still symmetrical, are more functionally placed. 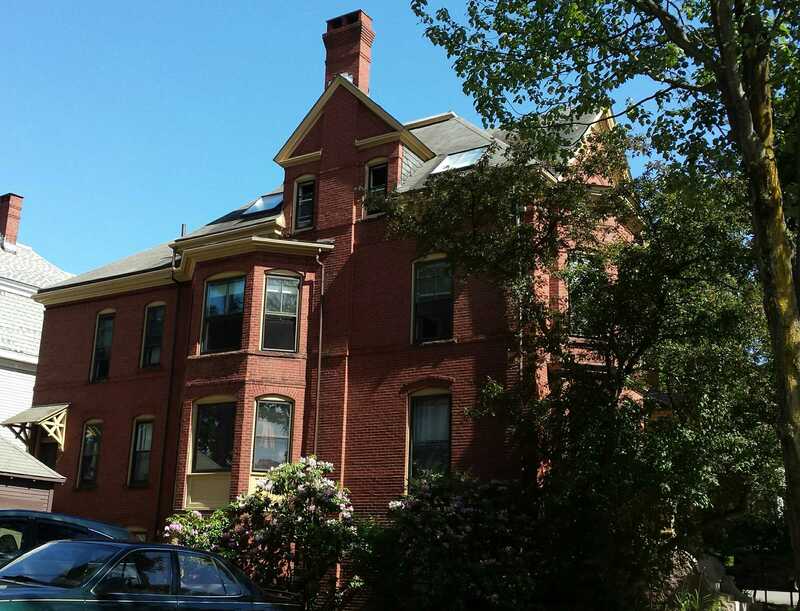 The strong vertical emphasis of the chimney rising from the ground and penetrating the third story dormer is a treatment that Fassett employed on a pretty regular basis. Llewellyn Morse Leighton was born in 1850. His place of birth is unclear. In 1871 he married Ann Hinckley Stone. In 1877 they moved to Portland. The 1880 census lists him as a grocer but his obituary states he was involved in real estate development at the time of his move to the city. Leighton purchased the lot in question from Mehitabel Baxter in 1889. Mehitabel was James P Baxter’s wife. The Baxters had purchased the lot from the Fessenden family in 1884. Leighton sold the house and land to James Fitzpatrick in 1895. He would own the property for some 12 years before selling it to Freeman W Grant in 1907. Grant was born in 1869 and was living in Freeport when he purchased the home. He would become fairly active in local real estate with the registry of deeds listing him on 28 transactions between 1907 & 1958. In 1924 he is listed as owning our subject, buildings on Commercial Wharf and a house on Brighton Ave. Freeman transferred the home to his daughter Marguerite King in 1952. Marguerite and her husband John sold the house in 1956 to their daughter Marilyn. By 1960 Marilyn had married Hugh McDonough. It was in 1960 that they sold the property to ​Effie​ ​M​ ​McCormick.​ ​Effie​ ​was​ ​born​ ​in​ ​Houlton​ ​in​ ​1884. She first appears in Portland when she purchased a home on Forest Ave in 1942. She sold 279 State Street 1962 but would remain in Portland until her death in 1969. The next owners of interest would be Max and Anna Furrer. They purchased the home from the Bubier brothers in 1976. Max & Anna were born in Switzerland in 1924 & 1928 respectively. Max seems to have been educated as a geologist. 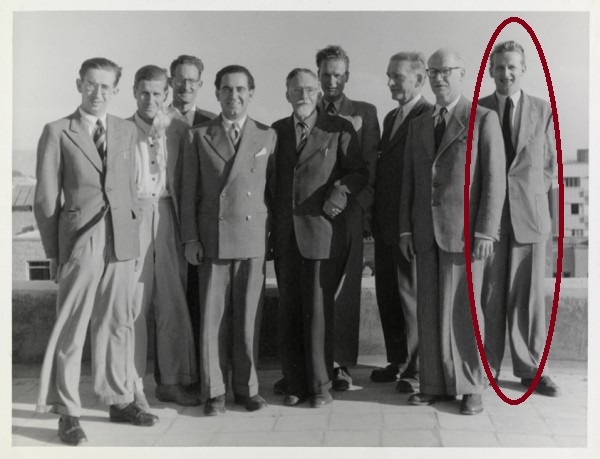 A Swiss blog article I located from 2013 delves into the history of a group of Swiss scientists who went to Iran in 1950. Among the names listed is Max Furrer. An accompanying photo shows Max at far right and he seems to be about 25 or 26. Max and Anna sold the home in 1985 at which time they moved to Falmouth. Max died in 2011 and Anna in 2012. Our last historic owner of note was Linda Mansfield. 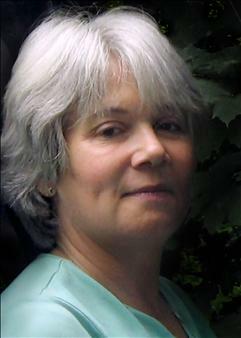 She purchased the property in 2004 & sold it just prior to her passing away in 2008. 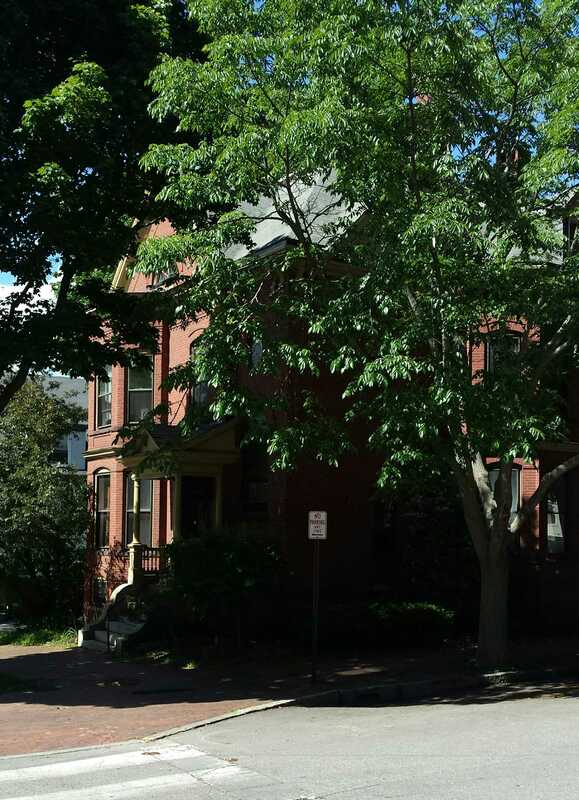 Mansfield was a successful real estate agent and redeveloper of historic properties. She was an advocate for preservation and women’s rights. 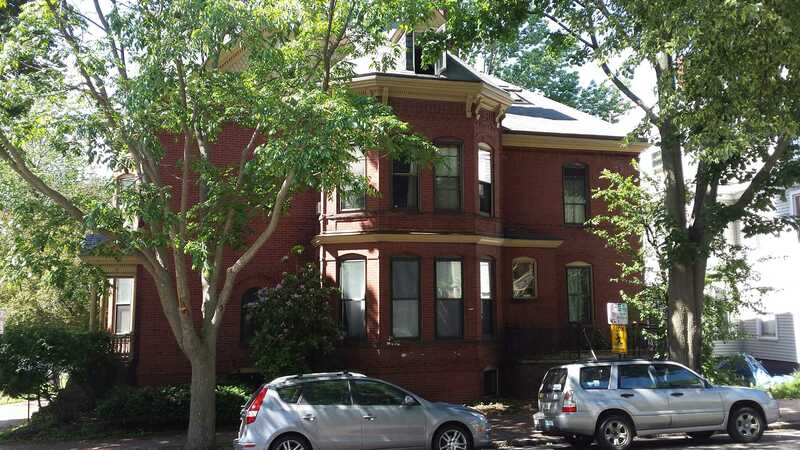 Her will left bequests to Greater Portland Landmarks, Friends of Eastern Cemetery, Grow Smart and the National Trust for Historic Preservation among others. 279 State Street is currently listed as a 5 to 10 family apartment building. The owner of record is an LLC from Northport New York. The LLC shares the same address as a real estate company named Global Properties.